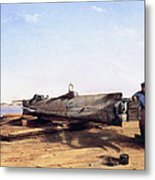 There are no comments for Hunley Submarine, 1863. Click here to post the first comment. 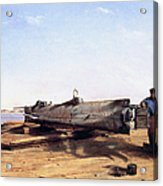 HUNLEY SUBMARINE, 1863. 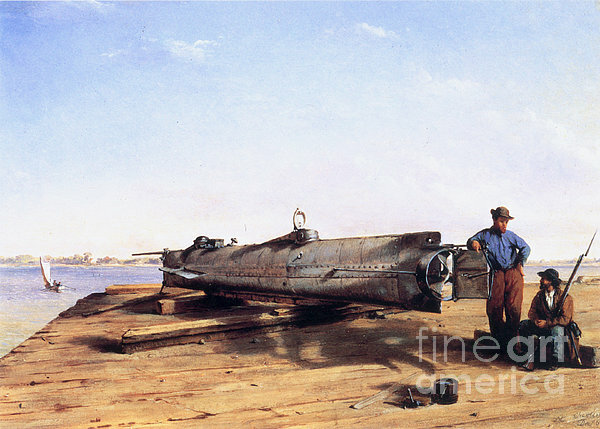 The Hunley submarine torpedo boat in drydock in Charleston, South Carolina. 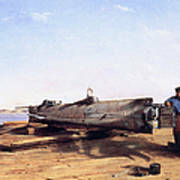 Oil by Conrad Wise Chapman (1842-1910).